Are you a parent or an elementary school professional? 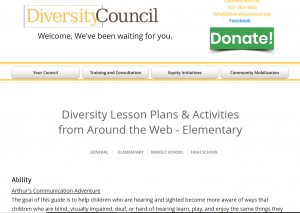 Are you worried that your children’s classroom isn’t as diverse as the world around them? Above are lesson plan ideas and activities that can bridge that gap of information for our young members of society. 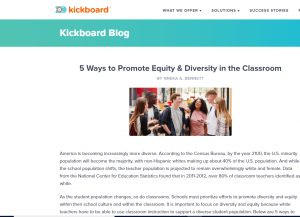 A list of steps that teaching professionals can follow to ensure that their classroom is an environment that promotes equity and diversity. It is catered towards the changing student and classroom population. The American Civil Liberties Union is a nonprofit organization which works to ensure that lesbian, gay, bisexual, and transgender people can live openly without discrimination and enjoy equal rights, personal autonomy, and freedom of expression and association.